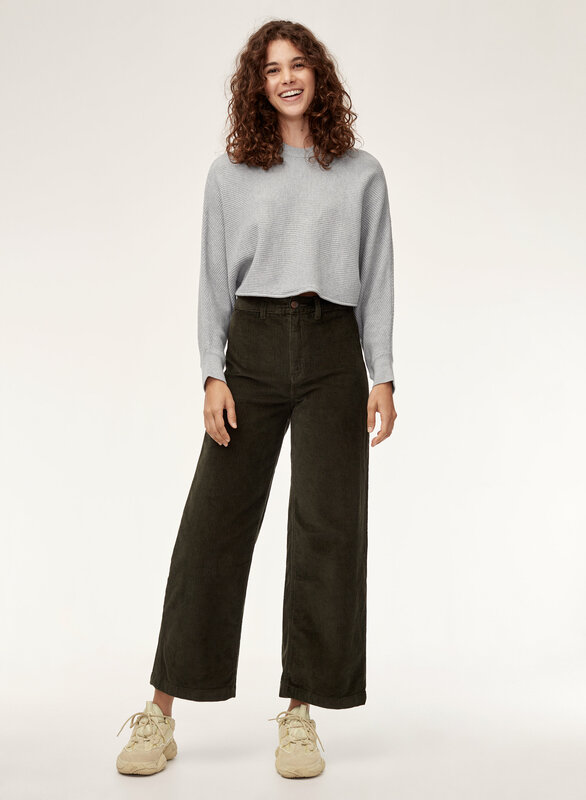 Styled with hayley pant . 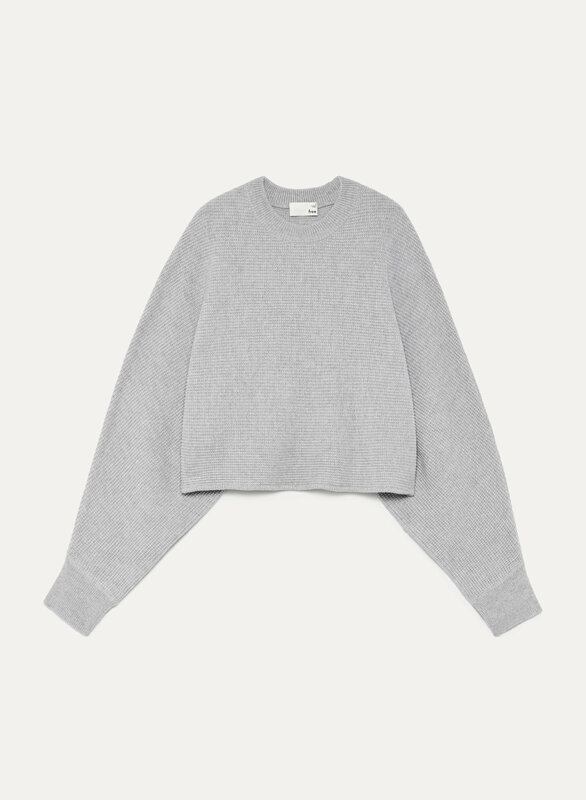 Knit from a lightweight wool-linen blend, this sweater has a super-cropped, oversized fit. 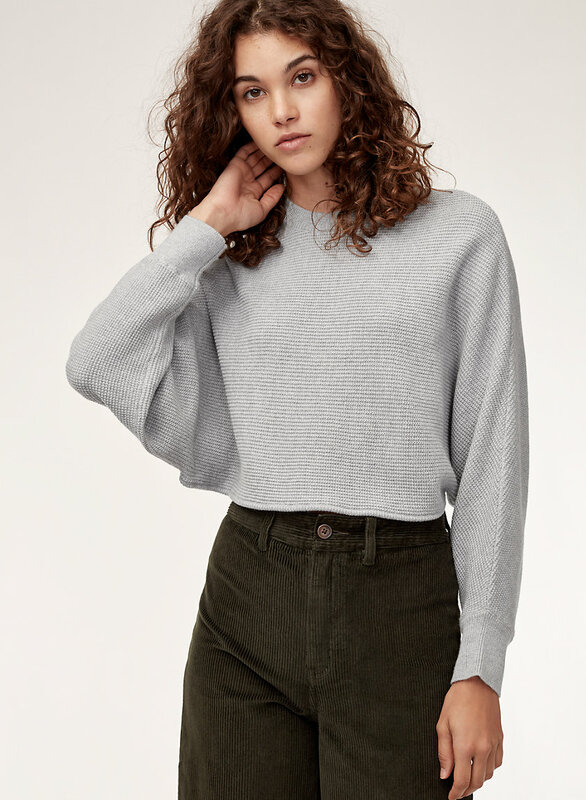 The sweater I got was made out of merino wool and it's soft and comfy. 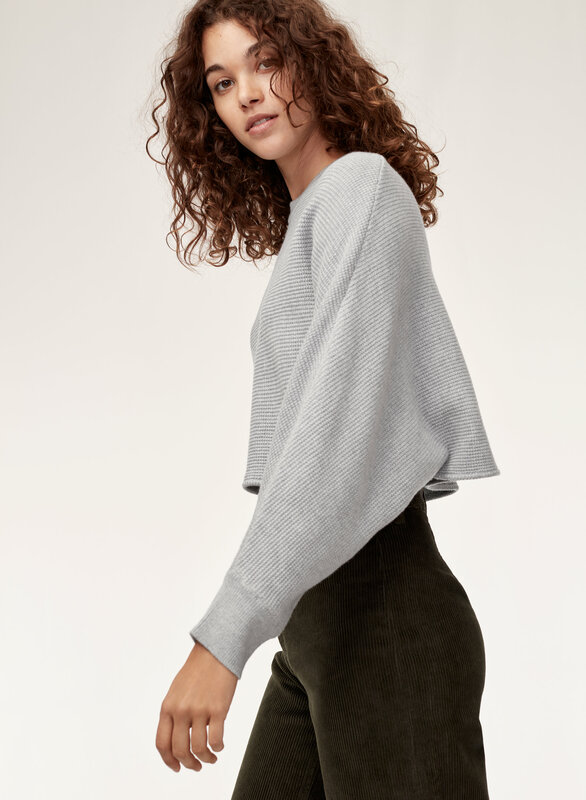 The sweater is super cute on paired with high waisted bottoms. 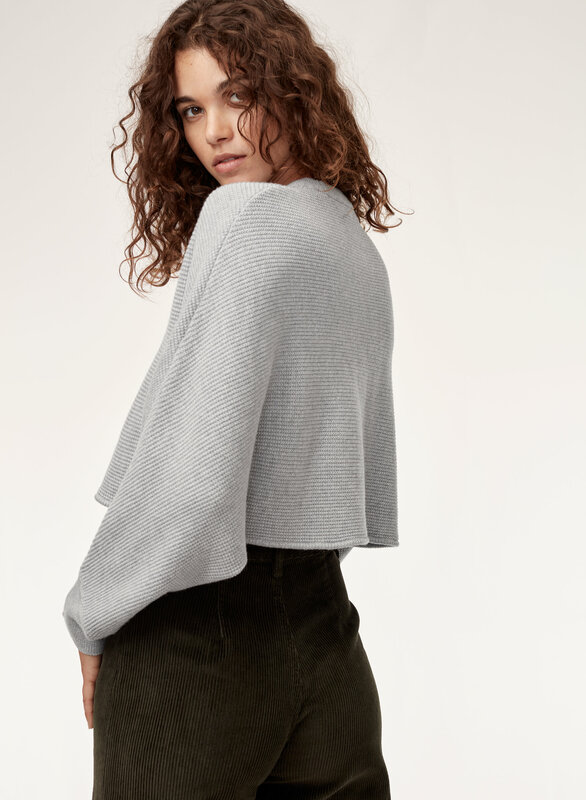 One thing I really don't like about it is how the sleeves are connected to the sides of the sweater. Every time I lift my arms the whole sweater goes up with it! It's a cropped fit but the bottom half could be designed to be a little longer to prevent any accidental exposures. It's a baggie look but goes great with the mini skirts and high waisted jeans. Definitely an everyday look and would recommend purchase!